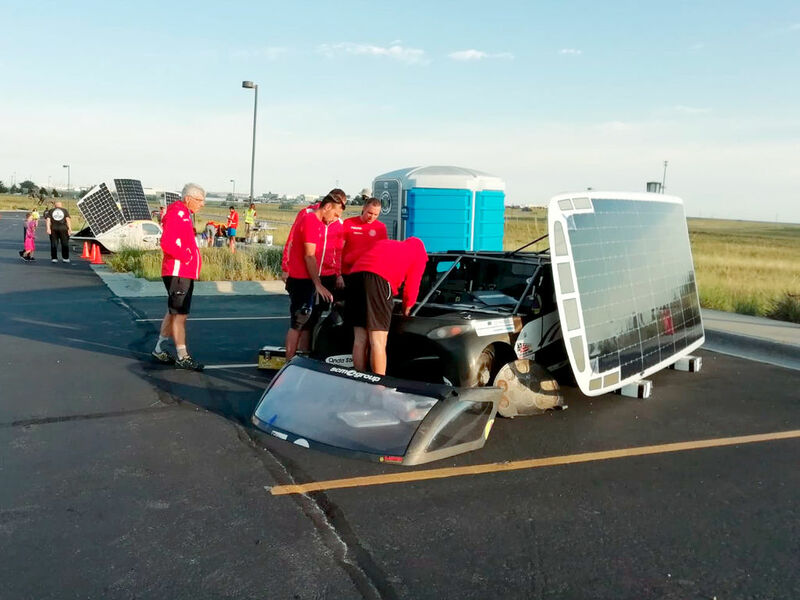 The Solar Wave Team is currently running the fifth leg, from Lander to Carson. 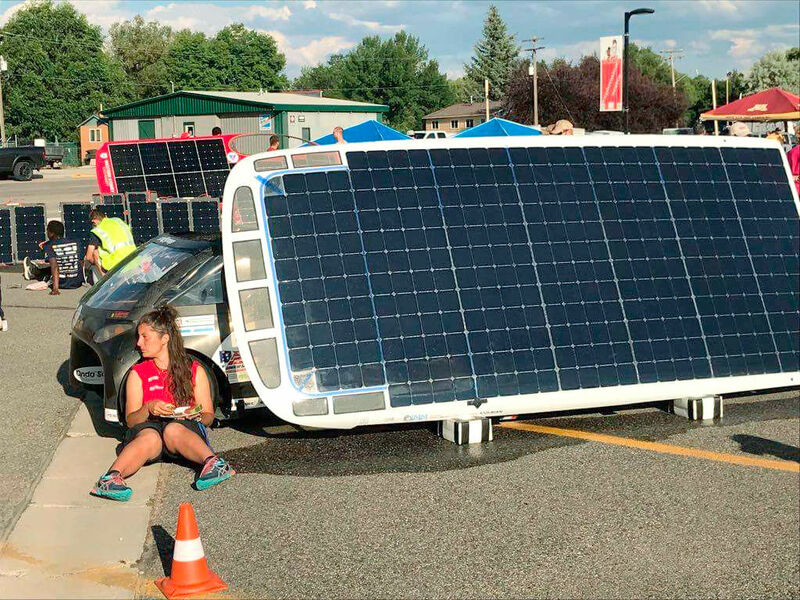 It will not be easy for the “special” car, Emilia 4, racing at the American Solar Challenge: the route is a 70-mile uphill run, with steep slopes never tried before by the University of Bologna Team drivers and crew members. 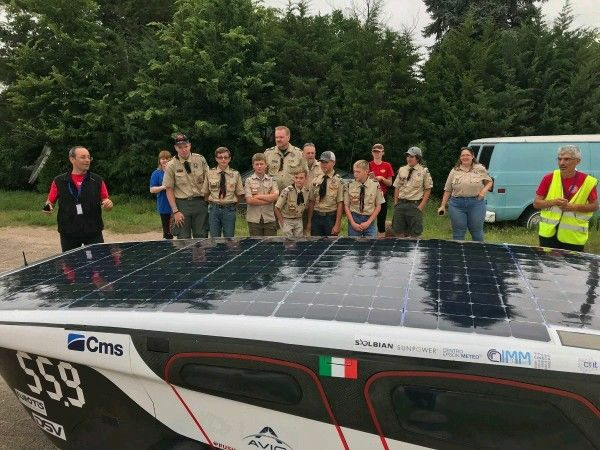 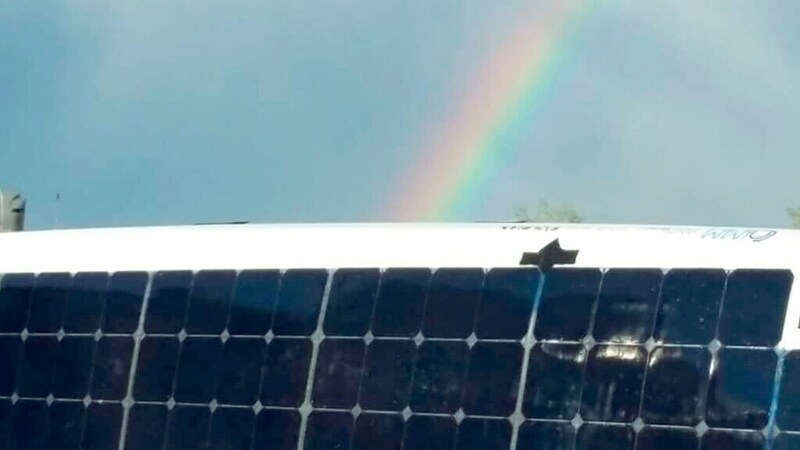 The 100%-Made-in-Italy solar car has demonstrated so far that is has the required technological ability to overcome even the nastiest hurdles: in its last leg, for example, Emilia 4 arrived first among the four competing cars, including its main rival, that of the University of Minnesota team. 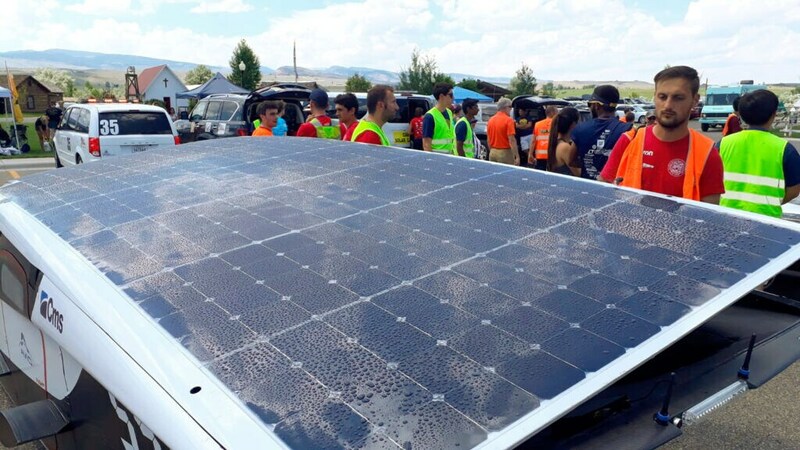 It has already covered a 1,300 km distance, but more than 2,700 km are still ahead of it before it will have completed the entire race route, and rainfalls in a couple of places along the way have not helped the operation of the solar panels, which provide the car with energy. 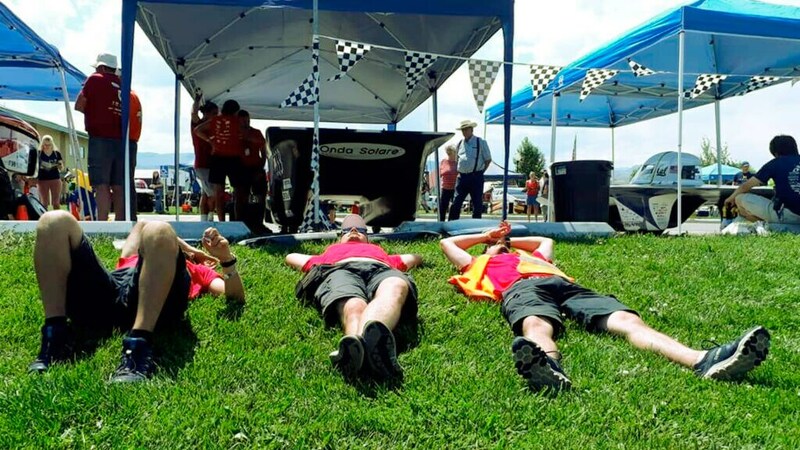 The Italian team, including drivers and assistants, is currently flexing its muscles. 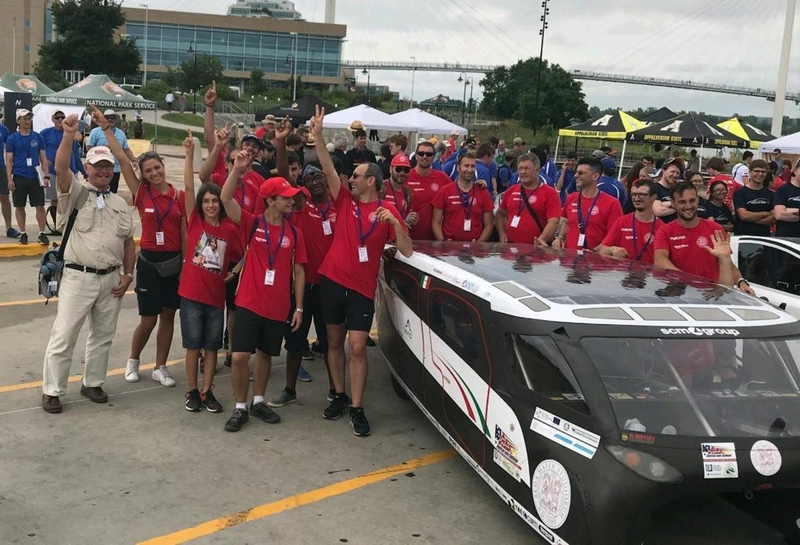 It is headed by Claudio Rossi, “the Professor” and Deputy Director of the U. of Bologna Research Center, who along with his young engineers, Davide, Carlo and Lorenzo, daily provides the car with all the power it needs to succeed. 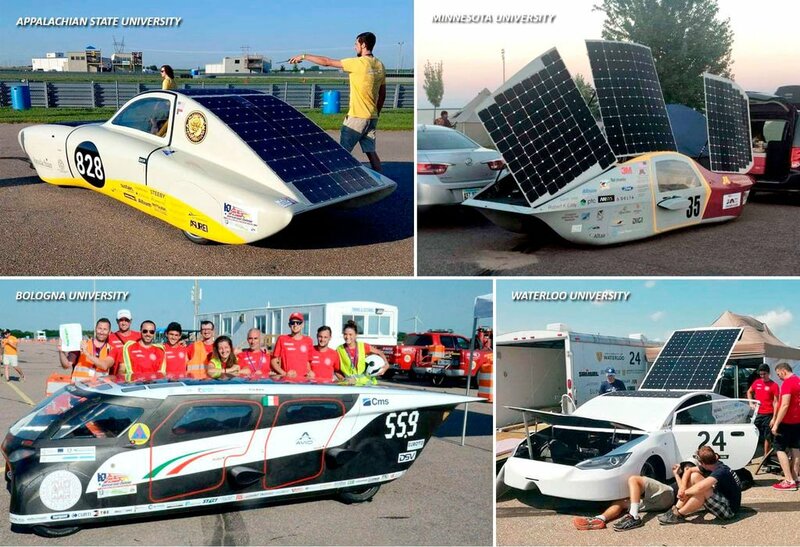 Others include Ruggero Malossi, a project researcher who is among the essential figures of this project and can often be found behind the car’s wheel; Morena Falcone, who continues to laminate, reinforce and repair the fiber-carbon wheels; and Denise Dujmic, an engineer at Scm Group, the principal industrial partner of the Emilia 4 project, who divides her time between problem-solving and communication activities. 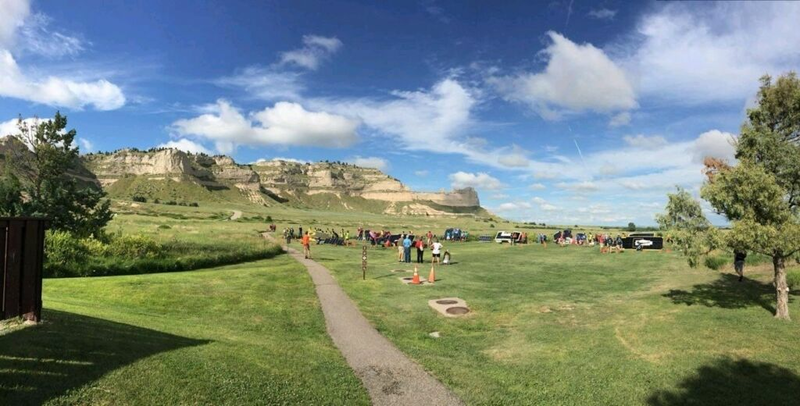 Stay tuned, the American adventure across the rocky plains and the American West continues.